As the dark cold nights of winter approach, you are not sure when the temperatures will be dropping to freezing points. Around this time of the year, roads are icy; driveways are sleeted or even covered in snow. If you live in Langley, BC you always expect a very winter but last year snow did show up. You are now aware that you should not only be preparing for a wet winter but rather a very cold season that could turn roads into a driving nightmare. We at Eurofix.ca believe that winter should not get into your way to a great driving experience. 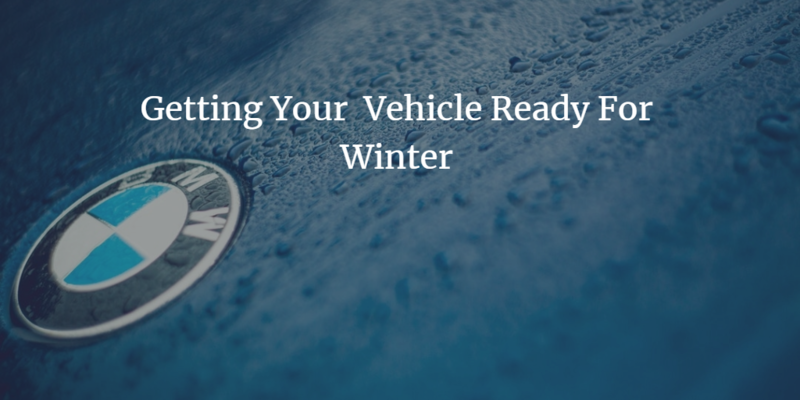 With the right preparations you can be certain of an uneventful winter driving. The only thing that could stop your car during emergency is the braking system. As you take your car for service, have both the fluids and pads bled and replaced. During winter, roads can get really slippery but with effective braking system you can always stop your car in good time. While you will have to be content with snow on the roads and driveways, you should expect visibility to be almost impossible. Old wiper blades will make it even worse. During your routine car service and checks, have your worn out wiper blades replaced. You should also invest in a high quality windscreen fluid that has both anti-fog and anti-ice cleaning abilities. It is an economical tact to want to invest in all-weather tires. What you do not know is that these tires will be helpless in the face of harsh winter weather. From our experience, winter tires should be your priority in readiness for the cold weather. You can always get back to your all-weather tires when the cold months are gone. If you already have your winter tires from the past seasons, make sure their treads are not worn out. Also, check the tire pressure to be at what the manufacturer recommends. You never know when your tires will come to your aid when the roads become partially impassable. Your engine coolant will have a bigger role in your car during the cold months. You can tell if your coolant is up for the cold season by looking at its color. Mixed with antifreeze, your coolant should be yellow, green, red or blue. If it is colorless or you see some brown traces it is time you flush the cooling system and fill it with new coolant. Winter will demand more from your car’s battery. Have it checked to ascertain that it is chargeable and does not need changing. If it is dead, you had better invest in a new one. The last thing you want in extremely dark mornings and dreary winter evenings is to be stranded at the road side because of a failed battery. Are you tired of having your BMW or Audi breaking down in the middle of winter storm? We know how embarrassing that could be. Bring your car to Eurofix and we will prep it for winter like you have never had before. We are your sure bet to get through the ice, snow and sleets on roads and driveways. Try us and your winter will always be a great time to drive.